A survey showing that more than a third of people hospitalised in mental health crisis feel they were sent home too soon is “no surprise”, experts have told Community Care. The research, published this week by charity Mind, revealed a range of problems people had experienced around discharge planning from mental health hospitals. National Institute for Health and Care Excellence (NICE) guidelines stipulate that plans should be made for people’s ongoing care from admission or as early as possible from when they go into hospital. But nearly two in three people (66%) surveyed by Mind said they were not given a written care plan while one in four (23%) said they were unaware of any plan at all. The findings follow the government’s announcement in October of an independent review of the Mental Health Act 1983, which is due to report back in autumn 2018. Mind surveyed more than 1,200 people who had been discharged from hospital following a mental health crisis. As well as more than a third of people saying they had left hospital too soon, a fifth said they had received no notice that they were going home. One in three who had been in hospital more than a month said they had been given less than 48 hours’ notice. Research published in 2014 found that during the first three months after discharge, patients were at a “particularly high” risk of taking their own lives. Despite this, fewer than half (44%) of the people Mind surveyed said that managing their mental health or self-care had been considered in their plans for leaving hospital. Half (51%) said their accommodation needs were considered in any plans, and less than one third (29%) said money and benefits were considered. Mental health experts contacted by Community Care said without exception that Mind’s findings came as “no surprise”. Andy Bell, deputy chief executive at the Centre for Mental Health, said the survey results “reflect to a large degree perennial problems” in the system. Bell said that it was essential the commitment to expanding crisis resolution services in the NHS England-commissioned Mental Health Five Year Forward View was implemented properly. Steve Matthews, who blogs as the Masked AMHP, said that ‘leave’ beds, which are supposed to be kept open for people making short stays at home, were being filled by others, exacerbating the situation. “You have a patient supposedly [staying at home as part of] a planned discharge, and then can’t come back to hospital – so they are simply discharged before they’re ready,” he said. Matthews described recent examples of people being discharged and inadequately supported, leading them to relapse and be readmitted to hospital. He said shortages of both beds and staff were contributing to a “complete disregard” of the Care Programme Approach (CPA), which is meant to provide for a smooth transition between health and social care services for people with mental health needs. Another AMHP, ‘AsifAMHP‘, said service cuts and welfare reforms meant that trying to ensure housing and benefits were in place for people who had been in hospital was becoming ever more difficult, even for staff willing and able to put in the effort. “The CPA and the old Community Care Act were clear that discharges should be properly planned but in the chaos we are working in, how do you practically do that?” he said. Paul Farmer, Mind’s chief executive, described the picture painted by the survey as “shocking”, adding that it was “a tragedy that so many people, so very recently leaving the care of hospital are being left to cope alone” and at potential risk to their lives. “Whether you’ve been in hospital for days or months, when you come out you need the right care and support to help you stay well,” he said. The Report is spot on. I’m the Project Manager of an independent homeless charity. I have regularly witnessed individuals discharged, sometimes at short notice, without any Care Plan never mind a Care Plan in writing! On one occasion I arrived to VISIT an individual to be told I could take him home! On some occasions individuals had no contact with their dedicated nurse during the course of their 4 week stay. On one occasion the Ward Psychiatrist invited me to be present and take part in the “ward round. I travelled 2 hours to specifically to attend (advocate for the individual). When the psychiatrist arrived she informed me she didn’t have time for “this” but then informed me it had been decided to discharge the individual – none of the staff knew this decision had been taken. I had to cancel my engagements for the rest of the day as I had to wait 4 hours while the staff sorted the discharge paperwork and the pharmacy sorted out the individuals medication. 85% of service users at a day centre for the homeless have mental health problems – It is not uncommon for them to be discharged back onto the streets after compulsory admission to a psychiatric hospital. Care planning is hit or miss and treatment provision too has been hit hard by limited resources.Those same hospitals struggle to provide treatment needs – often not enough staff for inpatients to have prescribed escorted leave, so some people are stuck for long periods without being able to leave the ward. That picture of a bed space must be of a private hospital! – But then, there’s increasing use of them – at what cost? a. Mental Health Services are considered a “Cinderella Service” in comparison to physical health services, and thus attract less funding, fewer staff, and accrue fewer resources. b. 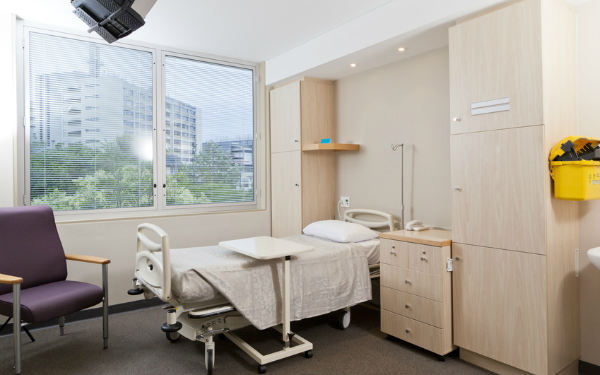 There is a massive nationwide shortage of mental health inpatient facilities, and beds. Of course there will be pressure to discharge patients rapidly, if a bed shortage exists. Shortages of resources (including beds) are almost always a result of inadequate funding, and will frequently have a negative impact upon the quality of care that patients receive. I cannot believe that the NHS and Social Services – plus the Government – are guilty of such a dreadful lack of insight and “joined-up-thinking” as to not be able to understand that lack of funds equals lack of resources equals reduced standards of care equals increased pressure on staff and patients, alike. This, unfortunately, is far from the only problem facing mental health care and provision. One of the BIGGEST PROBLEMS of all is STAFF IGNORANCE, especially ignorance of each-other’s roles. It is noted that the report mentions problems in which patients are discharged without clear care planning having taken place. This concerns me, because it really highlights a HUGE problem that I found existed amongst some of my Social Work colleagues, and, worse, amongst other health staff such as Nurses and Doctors, too. I worked for a number of years at a medium secure forensic psychiatric facility. So, in a nutshell, a psychiatric hospital for offenders/prisoners. The work, there, was intensive in nature because not only were you working within the remit of the health and social care systems, but you were also working within the remit of the legal system. Any work you did had to be careful, rigorous, and thoroughly thought-through. It also had to be stringently evidenced. This made care-planning and drafting care plans vitally important, because they formed the basis of patient care, informed progress through the system, informed risk assessments, helped form the basis of mental health review tribunal reports, and often formed the basis of home office reports, too. Failing to undertake adequate care-planning WAS SO NOT AN OPTION, because the patients we worked with were also criminal offenders and we had a duty of care both to them, and also to the community. The purpose of the job was t ensure that any patients we had were helped to manage their mental health effectively, and were also profiled as offenders, so as to ensure safe eventual release into the community. We worked as a true multidisciplinary team including Psychiatrists, Social Workers, Psychologists, Occupational Therapists, Physiotherapists and mental health Nurses. Everyone had to work together, because monitoring a patient’s safe progress back into the community was vital – especially because our job was to try to ensure that patients would not reoffend. I can tell you for a fact that had we not undertaken careful and rigorous care planning, we would have been hauled over “hot coals” by the Home Office (especially if we had S37/41 “restricted” patients); or we would have been called out by the Judges at mental health review tribunals. Care planning HAD to be as “watertight” as possible, because part of the job was to safeguard the general public from further risk as a result of any of our patients reoffending. Now, what beggars belief from my perspective is the COMPLETE IGNORANCE OF OTHER CARE PROFESSIONALS RESPECTING MY ROLE IN THE ABOVE JOB. I later moved to generic community Social Work, and was shocked by colleagues who moaned about paperwork as if they did not understand the importance of it. Yes! Paperwork can be a chore, and it detracts from time spent with patients… BUT this is the IMPORTANT message. That in Social Work, NO paperwork often means NO CARE PACKAGE. Put simply, the assessments we complete, the care planning that we document in the form of paperwork, form the basis of the very CARE PACKAGES that patients are provided with. NO assessment on paper, NO care package, as we have NOTHING to submit in evidence of any care that is required. I CANNOT UNDERSTAND WHY, OR HOW, MY COLLEAGUES COULD NOT SEE THIS! It is simple common-sense. Worse still, I have found this ignorance respecting paperwork in other health and medical professionals, too. When I worked in a Hospital Discharge Team, one of my colleagues who was a Nurse criticized me for recording unmet needs, saying I was “making work for myself”. I am horrified to this day by her comment, because both during my training and later in practice, I understood that recording unmet needs is an ESSENTIAL PART OF THE JOB. It is by recording unmet needs that we highlight any potential deficiencies in a care package, and also highlight potential service deficits. HOW can the NHS and Local Authorities better plan and provide services, and know what a community needs, if UNMET NEEDS are not being flagged? I cannot believe that some of my colleagues could be this ignorant! It shows that they do not truly or fully understand the nature of their role. I also found that ignorance respecting paperwork reflects ignorance respecting other worker’s jobs and duties. Another colleague, who was also a Nurse, and also at the same Hospital, commented to me that “It is all well and good being good at paperwork but this is not doing the proper, hands-on job”, as though paperwork was less important than time with patients. On one level, I sort of agree, because I do feel that the inordinate amount of paperwork that staff have to do nowadays takes time away from their work with patients. However, time spent with patients, and time spent on paperwork should be seen as EQUALLY IMPORTANT. It is pointless spending time with a patient, if you are not recording what you are doing. Indeed, this could be positively DANGEROUS! If you did not record what you were doing, then how would anyone know if you had given the patient the correct medication? If you had advised them of their welfare benefit entitlement? If you had signposted them to other services they might need? If you were meeting the physical requirements of their care, e.g. adequate nutrition, clean and sanitary conditions, etc.? We complete paperwork so as to document our patient contact, both to verify the fact that we are providing care, and also to provide an audit trail (and chain of responsibility) should anything go wrong. Imagine if one member of staff gave medication to a patient, but did not document this! Other staff would not have a clue what was going on! LETHAL!! THAT is why you do paperwork. a day, with her casual and dismissive attitude towards paperwork! If she could not understand the importance of it – of documenting your care planning – then she might have quickly found that Judges at mental health review tribunals are NOT very forgiving of such laxity! I dread to think how many of HER patients could have been discharged back into the community with inadequate care plans… I mean, if paperwork is not important, would she have ever got around to undertaking such duties? Sometimes, people need to stop and engage their brains before opening their mouths! If more staff actually understood the importance of care planning, documenting care given and paperwork, then maybe more unmet needs would be regularly flagged. This could then have the effect of highlighting to service providers the sheer lack of facilities available for mental health inpatients, and might eventually lead to the breakthrough that is so desperately needed to secure more funding for more facilities. Is just a nonsense, how can a service practically do that? If nationally there is a staffing / service / funding crisis how on earth can an individual service magically improve. Pointing fingers at individual service’s is not helpful and exaggerates the blame culture which in itself creates a toxic environment.